I have learned almost everything I know about being part of a team from working here at NAILS. I was not the kid who played a bunch of sports growing up. Most of what I know about sports comes from watching on the sidelines or from the comfort of my own home. I have learned almost everything I know about being part of a team from working here at NAILS. Case in point: Our NAILS Next Top Nail Artist Top 3 finalists for Season 4 all lived in different countries and finally met face-to-face in March at America’s Beauty Show in Chicago, but you never would have known they were competing against each other for the title. Jonny Diep Pham, Liina Leino, and Tracey Lee immediately clicked and were a solid unit from day one. When Jonny revealed he had forgotten to bring nail tips to the show, Tracey immediately asked why he didn’t call her so that she could help him sculpt some new ones. There are even more memories to choose from when I think of these three extraordinary team players who carried each other through both NTNA and personal challenges week after week, and in the end, carried each other to the finish line. Tracey Lee may have taken home the trophy, but we all took home something far better — each other’s friendship. Jonny, Liina, Tracey — you are the dream team! Immediately after ABS Chicago, I traveled to Houston for the Best Lil’ Nail Show Texas, where I continued to witness the beauty of teamwork. Team 3-D Fanatics (made up of some of the talented members of the Facebook group) submitted their entries to the first ever Nailympia U.S.A., and each of them placed. Outside of nail art competitions, motivational speaker and hairstylist Jen Planck discussed teamwork at the Meet and Mingle event. My secret for getting through back-to-back trade shows and another year of a major online competition (all while putting a magazine together) is simple: trust your teammates. 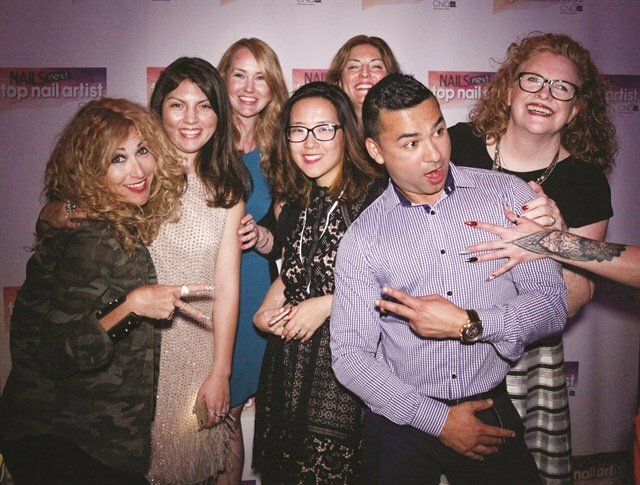 My fellow editors, nail techs, graphic designers, NTNA sponsors, and salespeople all do their part to see each show, party, contest, and issue through to completion. They all deserve a trophy. Whether you work in a full-service salon or on your own, know that you are a part of a much bigger team. Do your part to make yourself, your clients, and your teammates each feel like MVPs. Editor's Note: You can watch a portion of Jen Planck's talk on our Facebook page. Just click here.